DO YOU LIKE THE NEW PIXEL SLATE? It looks a bit like a family member to the ipad pro, but the Pixel Slate will be just 7mm thick, handily beating the Pixelbook, which was 10.16 mm thick. Like the Pixelbook, the Slate will have a 12-3-inch display, but its resolution jumps from 2,400 x 1600 to 3,000 x 2,000 pixels—pixel density correspondingly jumps from 235 ppi to 293 ppi. Google claims the battery will run 12 hours on a charge. It’s a touch display with support for the $US100 Pixelbook Pen. While the Pixelbook, and other touch Chrome OS devices like Samsung’s Chromebook Pro have never had fast enough pen response to match a Surface or iPad, the Pixel Slate, in our initial time with it, seemed to suffer no lag. That’s because, according to Google, the algorithms Chrome OS relies on to anticipate where a pen stroke is going have dramatically improved. Finding out whether they’ve actually improved will have to wait until we get more than an hour with the device. 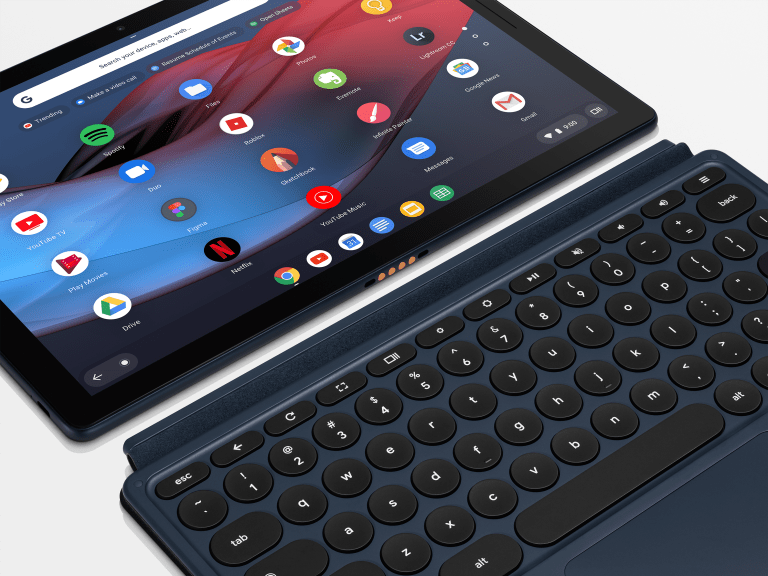 While the Pixelbook had the keyboard built in, the Pixel Slate relies on a $US200 Pixel Slate Keyboard cover. 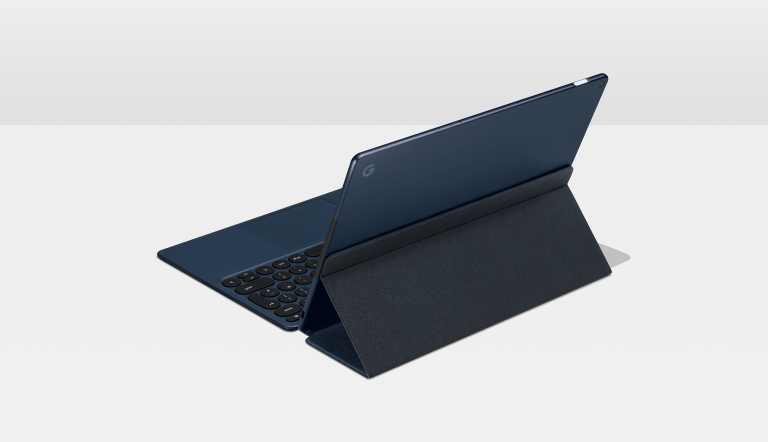 That’s a lot more than either Microsoft or Apple charge for their keyboard cases $US130 and $US160 respectively, but the Pixel Slate’s might have some advantages. Instead of square little chiclets, Google has opted for round keys, which it told us should make for a more pleasant typing experience—a theory users of old typewriters and Spherical All (SA) keycap fans might agree with. Old typewriters and SA keycaps both employ round depressions to guide the finger towards the center of the cap. Google’s keyboard cover attempts to do something similar, though with much shallower depressions. It all adds up to this new device having a lot of potential. Though it should be reiterated that the Pixel Slate is not cheap. Unlike other Chrome OS devices Google is charging a premium for its own hardware. $US800 just to have a tablet and keyboard case is a lot for a Chrome OS device. It’s a lot less when compared to devices from other tablet makers like Apple and Microsoft. A 10-5-inch iPad Pro and keyboard case will run $US810, while a 12.9-inch iPad Pro with keyboard case will run $US970, and a base Microsoft Surface Pro 6 starts at $US1,030 for device and keyboard case. When compared with those devices the base Pixel Slate seems almost affordable. Whether Chrome OS is robust enough to provide a comparable experience to iOS and Windows will depend on how much Chrome OS has improved. Something we won’t know for certain until the device ships later this year.